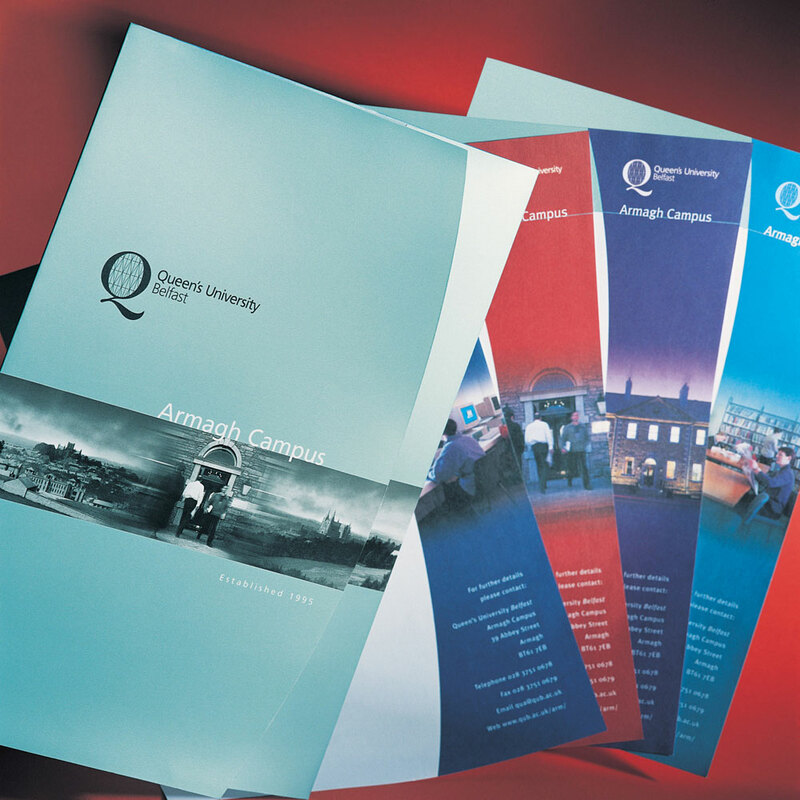 The suite of brochure and inserts for the Armagh Campus of Queen’s University Belfast won a Design for Print Award, jointly run by The Irish Marketing Journal and BPA. The cover montage depicts both Cathedrals in Armagh, reflecting inclusiveness in Queen’s University Belfast, Armagh Campus. The inserts were overprinted by the university with student information.